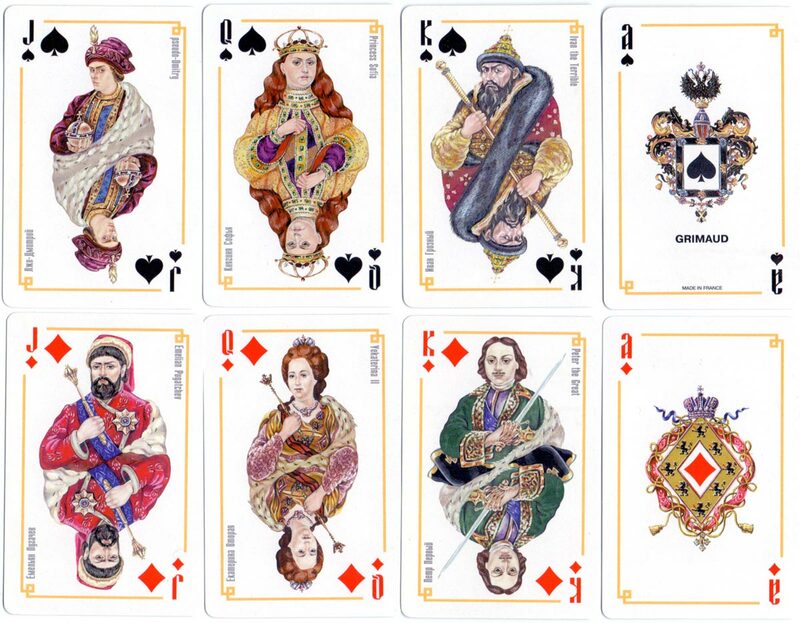 ‘Glorious Russia’ playing cards depicting famous historical emperors, rulers and leaders, made in France by Grimaud, c.1995, with English indices. 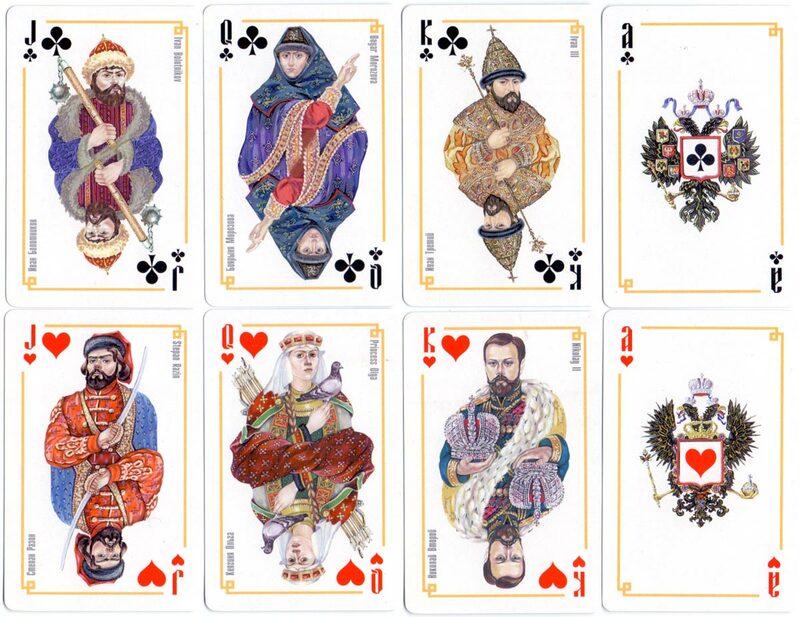 The four aces depict coats of arms of the royal empire. 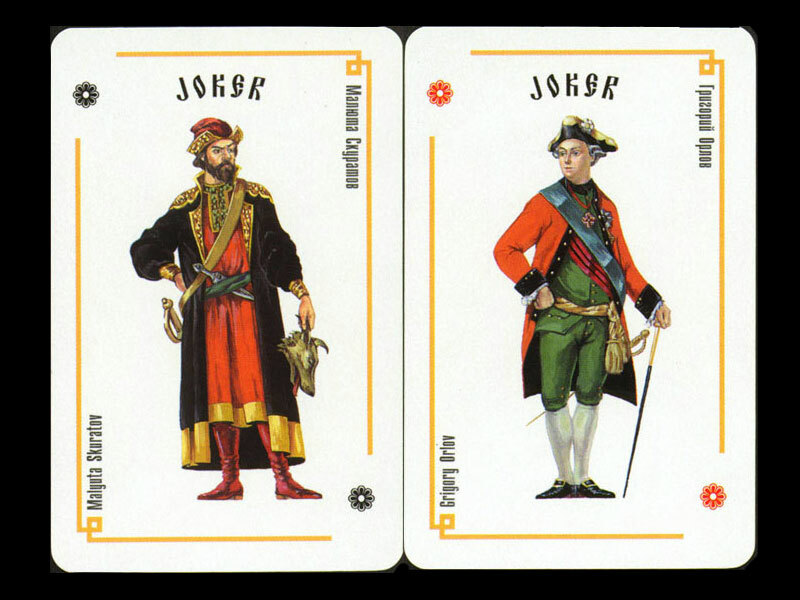 The captions on the court cards are bi-lingual Russian and English.